This content is provided by Jeffrey M Jakubiak. Jeffrey advises on matters before the Federal Energy Regulatory Commission, particularly those involving electric company mergers, power sales, transmission rate cases, electric and gas regulatory compliance and enforcement, and administrative and appellate litigation. Focuses on matters at the crossroads of law and economics, particularly in the workings of energy markets. 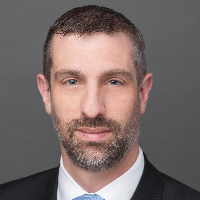 He has developed proprietary quantitative analytical tools to advise clients on electric asset transactions, market-based rate authorizations, and litigation risk. Jeffrey splits time between New York City and Washington, D.C.
JD, Cornell Law School, 1997; Olin Foundation Law and Economics Scholar. BA with Honors in quantitative economics, Stanford University, 1993.